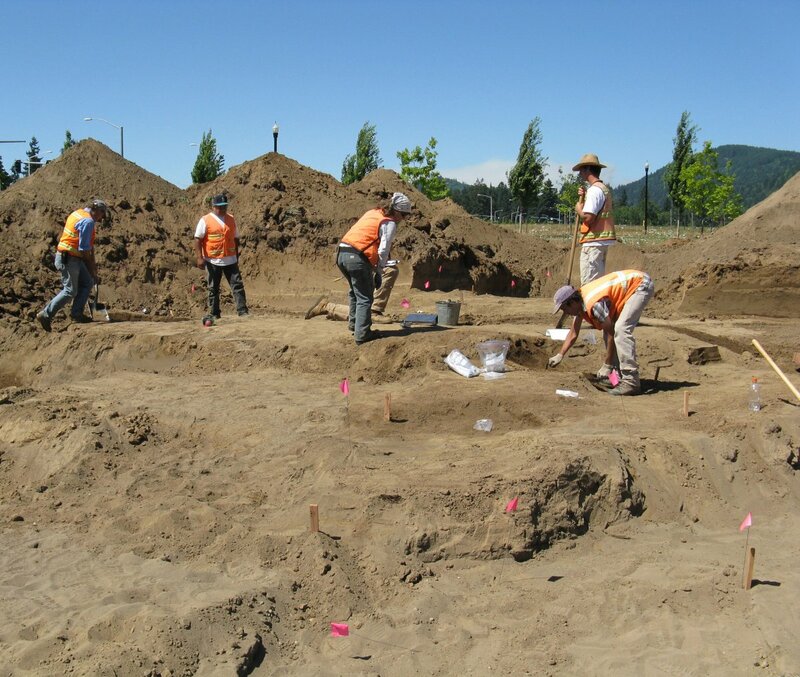 The University of Oregon's Museum of Natural and Cultural History will open a new exhibit Jan. 18 – called "Site Seeing: Snapshots of Historical Archaeology in Oregon" – that features artifacts from recent excavations by museum archaeologists. The exhibit will run through Dec. 31. The exhibit's opening reception, which is open to the public, will be held a week later, from 6 p.m. to 8 p.m. on Friday, Jan. 25, at the museum, 1680 E. 15th Ave. Most of the materials featured in the exhibit have never been on public display. They come from five historical sites around the state, including a 19th century Klamath homestead in Eastern Oregon, a pioneer cemetery uncovered during construction of PeaceHealth's RiverBend Hospital, an outhouse in a working-class Portland neighborhood, and sites in Jacksonville and John Day that reveal clues about Chinese immigrant experiences in Oregon during the Gold Rush years. Historical archaeology is defined as the study of cultures with written records, and it uses physical evidence such as artifacts to better understand the cultures. Thomas Connolly, the museum's director of archaeological research and curator of the new exhibit, notes that "historical archaeology's attention to artifacts – the products of human behavior – reveals the lives of people who may have been overlooked by history, and it can expose social history on a human level that can’t be found in documents alone." Alongside its focus on physical evidence, historical archaeology uses census data, newspaper articles, maps, photographs and other documents to understand the human past. "Site Seeing" will allow visitors to assume the role of the historical archaeologist, handling a variety of artifacts and interpreting them using both written records and comparisons to other artifacts. The exhibition also will include a mystery area where visitors can examine unidentified artifacts and provide input on what the objects might be. "This kind of activity opens a needed dialogue,” says Ann Craig, the museum's associate director of public programs. "It invites community members to add their expertise to our research." Other interactive displays will focus on the diets of the people who originally used the featured sites. In one area, children will be able to develop recipes using replicas of the various foods found at the sites. In another, visitors will identify seeds excavated from the sites by matching them to specific fruits. Six archaeologists who collaborated with Connolly on the excavations also are featured in the exhibit: Jaime Dexter, Elizabeth Kallenbach, Patrick O’Grady, Chelsea Rose, Christopher Ruiz and Julie Schablitsky. Visitors will have the opportunity to meet them at the Jan. 25 reception. "It will be a great opportunity for the public to engage directly with the museum's archaeologists and the exhibition itself is a behind-the-scenes view into their research activities," Craig says.